CPAs (Certified Public Accountants) are distinguished from other accounting practitioners by strict licensing regulations. To become a CPA, it's necessary to pass a rigorous two-day national exam and meet stringent experience requirements in addition to completing a five-year course of study in a college or university. To maintain their licenses, CPAs pursue continuing professional education that keep them current with the latest business and related issues. When you work with a CPA, you can be assured that he or she has mastered a significant body of knowledge. CPAs advise individuals, businesses, financial institutions, not-for-profit organizations and government agencies on a wide range of financial and related matters. CPAs are governed by a strict code of professional ethics that emphasizes their commitment to serve the public and protect the public interest. One of the most demanding found in any field, this code embodies the hallmarks of the accounting profession: competence, independence, objectivity and integrity. Finally, CPAs are consistently on the cutting edge of the financial world leading the way in the technology revolution and continually seeking valuable, new information-based services that will benefit individual and business clients. How Should I Choose a CPA? Will you need help with personal financial issues, individual or corporate tax returns, retirement, estate or college planning? Are you seeking investment help? Do you want help preparing a personal or business loan application? Will your business need specialized services, such as technology installations, strategic planning, electronic commerce assurance or cost management studies? After you have determined your goals, the next step is to seek recommendations from people who might have consulted with CPAs for similar reasons. You might turn to friends and relatives, colleagues and business contacts or to other professionals, such as bankers, attorneys and insurance agents. 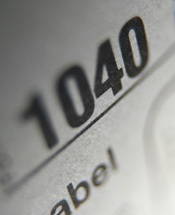 CPAs are also listed in phone directories, and most state CPA societies offer help in locating practitioners. How Can I Get the Most Value from a CPA's Services? Be prepared to discuss your plans and objectives. CPAs can most effectively advise you and serve your best interests when they understand your goals. Gather all relevant personal and business financial information so you can give the CPA a clear picture and ask specific questions. Be clear and candid about what you expect from the CPA's services. To save yourself unnecessary fees, keep good records and avoid using the CPA's professional time for routine work. Keep your CPA informed of changes in your professional and personal life. A marriage or divorce, the birth of a child, an inheritance, a career change or a generous bonus can have a significant impact on your tax liability and financial goals.